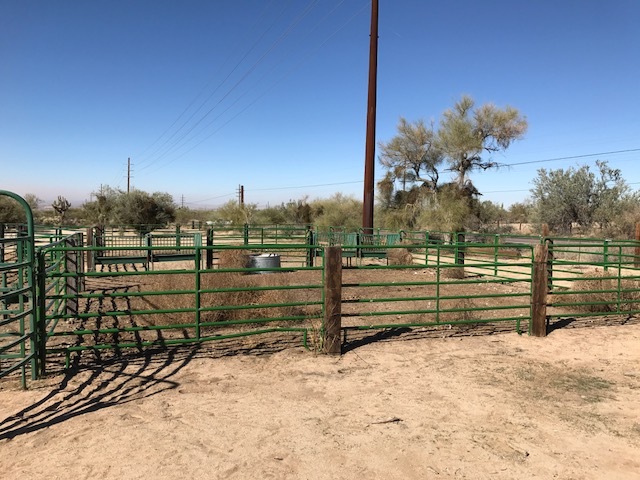 This ranch located in Marana AZ, has steel panel corrals and sweep system, the ranch can be run with 15 head year long, with easy access to I10 and close proximity to the Marana Livestock Auction. The land tenure reflects 3+/- sections of AZ State Land Department. –a 2000 acre +/- Portion Special Land Use Permit #23-98200-05, located south of Tangerine Road. The ranch sustains approximately 15 head year long and the possibility to increase on wet years. There is 1 pasture of approximately 3 sections. 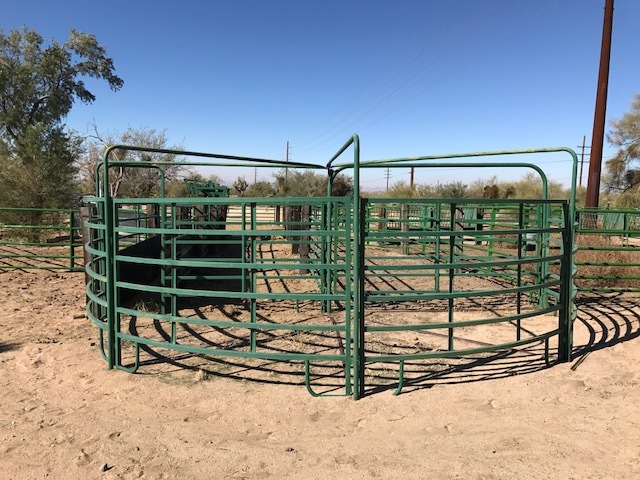 – The corrals are a modern set of working corrals made from green panels, and rail road ties including a panel sweep and tub system. The corral water is served by a wellshare with an electric well with 3000 gallons of storage. The access is from paved Tangerine road. 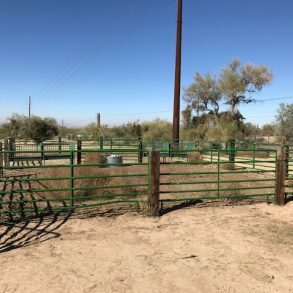 Improvements– This ranch has a good perimeter fence with a modern sets of corrals. 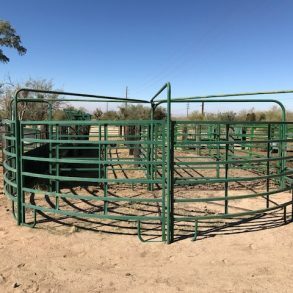 Notes– This ranch located in Marana AZ, has steel panel corrals and sweep system, the ranch can be run with 15 head year long, with easy access to I10 and close proximity to the Marana Livestock Auction. The land tenure reflects 3+/– sections of AZ State Land Department.